Just about everyone’s been talking about the latest in acquisitions; Amazon just bought Whole Foods. 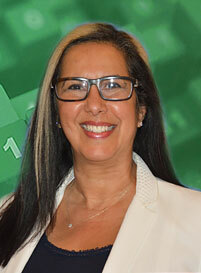 Your Miami Beach Bookkeeping Department learned the big deal closed for 13.7 billion in cash, even though the supermarket chain has been having a major sales slump and even closed several locations. The record-setting deal values the organic grocery chain Whole Foods at $42 a share, which is 27% higher than what the stock was trading on the day of purchase. Seattle-based and online retail giant Amazon now has over 460 Whole Foods stores (and close to an extra 87,000 employees) throughout the U.S., Canada and Britain. Can you imagine what that does to their payroll? The big news shows Amazon is interested in groceries as a business, and even has its own AmazonFresh delivery service, where people can shop online for foods items online and pick them up in person. But the delivery service hasn’t been so successful, accounting for less than 1% of all grocery purchases in 2016. By comparison, Walmart accounted for 17.3% while Kroger accounted for nearly 9%. Your Miami Beach bookkeeping company learned supermarket giants weren’t too happy with this deal, because their stocks have plummeted since the news went public. Kroger said its stock plunged 13% and Walmart was down 5% even after announcing that they just bought a men’s apparel company called Bonobos for $310 million. That’s after buying Jet.com for $3.3 billion, Modcloth and Shoebuy.com. SuperValu, with 2,000 stores across the U.S. had shares drop 145. But your Miami Beach bookkeeping company learned Amazon’s stock increased 3% and Whole Foods’ stock went up nearly 30%. Not everyone is convinced this was a smart move for Amazon, since both businesses kind of contradict each other in pricing model. Amazon is all about low online prices, while Whole Foods is all about high-end, organic produce and specialty foods at premium prices, also known to pay its employees really well. In fact, your Miami Beach bookkeeping company learned Whole Foods pays between store employees between $11 and $18 an hour, depending on their responsibilities. Groceries aren’t the first area Amazon has tried to get into, the e-commerce behemoth also opened brick and mortar bookstores. 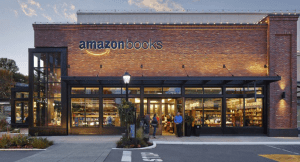 In fact, its newest one is right across from the Empire State Building in New York City selling books and popular gadgets like Kindle eReaders, Fire tablets, Alexa and Echo. There’s no cash at Amazon bookstores, instead all payments are made through their app or credit card. Your Miami Beach bookkeeping company learned customers can use the Amazon App to find books around them, including reviews, shipping options and pricing. Amazon has a convenience store in Seattle, Amazon Go, where customers don’t have to wait in line or checkout. They just scan their phones when they first get in, shop for what they need and walk out. The grocery industry in the U.S is an $800 billion business, but many of the big chains are struggling. Your Miami Beach Bookkeeping Department learned close to 20 grocers filed for bankruptcy just in the past three years. The struggle is due to the popularity of regional chains like Trader Joe’s, Whole Foods’ main competitor, online delivery services as well as global grocers like German-based Lidl opening stores in America. 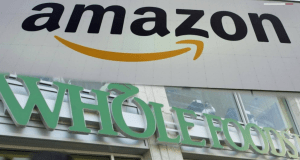 There’s a lot of talk online about what to expect from this Amazon/Whole Foods combo, some say shoppers can expect lower prices, ready-to-pick-up groceries, online reminders of previously purchased items and hints of what a shopper may also like, real-time price tally on smartphones and more changes influenced by drones, listening devices and big data to help anticipate trends. Did You Know You Can Afford a Franchise As a Small Business?